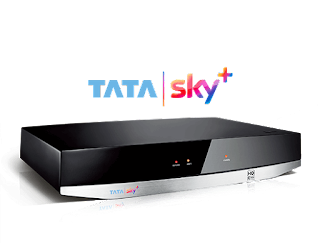 New Tata Sky offers: Cartoon Network is Now available in HD for Tata Sky customers, the TataSky DTH service added six new channels on its platform. Tata Sky, the main Indian direct to home TV operator, expanded its pay-TV package by six channels from 16 November. The six channels added are Cartoon Network HD+, Surya Bhakti, TV 24, News World India, Shalini Plus and Naxatra News. The newly added Tv channels are of different taste. Surya Bhakti is a religious channel, while TV 24 and News World India are Hindi news channels. Naxatra News is a news channel from Odia and Cartoon Network HD + is the latest HD TV version of the popular Cartoon Network Channel for kids. Cartoon Network HD + will be available for Rs 20 per month only and the other five channels will be available at a price of Rs 10 per month as they will be in SD quality and not in HD. The decision to add these channels comes after the last month. Tata Sky announced that 26 channels will be removed from the platform due to expiry and breaches. In September, the Pay-tv dth operator announced to discontinue 37 channels on the platform. Al Jazeera, Manoranjan Movies, R Plus, F Music, Sangeet Bhojpuri, Mastiii, Tashan 9X, Swara Sagar, TV Channel Captain, Mega TV, Tamil News 7 and Kalaignar Isai Aruvi are among the channels that will follow the expiration of the Program were eliminated agreement. , Kalaignar Sirippoli, Kalaignar, Kalaignar Seithigal, Jinvani TV and Oscar films Bhojpuri. Nine channels, namely Bangla News Time, Bangla Dhoom Music, Rupasi Bangla, Prague News, Vedic, Aastha Bhajan, Care World, Janta TV and Puthiya Thalaimurai should be removed for non-compliance, according to the TataSky DTH TV service providers.